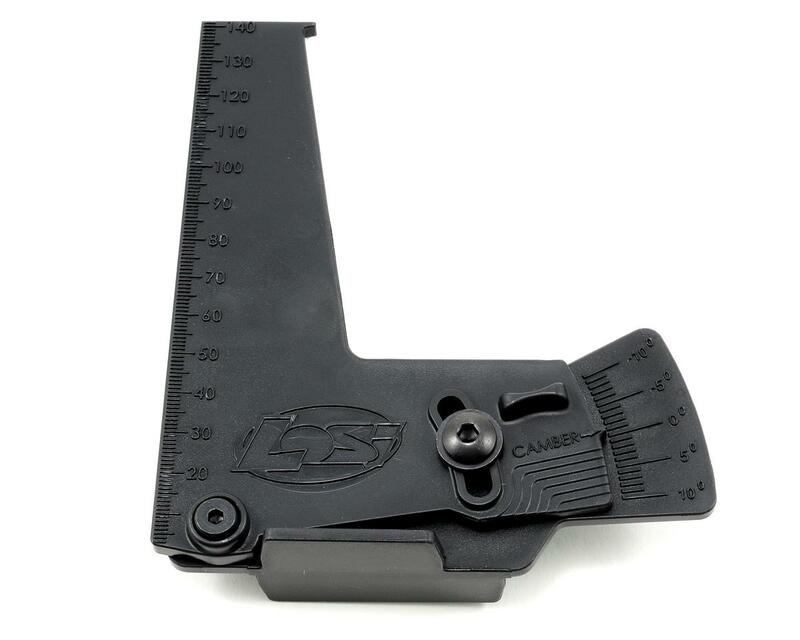 This is a Camber Gauge, from Losi. Losi's Camber Gauge is easy-to-use and useful for novice and expert racers alike. This key tuning device is easy to read and understand and will increase vehicle performance. The rugged construction makes this a dependable and reliable tool. Great product, well made. A must for every toolbox. This is a great tool that is easy to use and has a good price point. Plenty tall enought for SC and 1/8 wheels and even MT tires. Easy to get accurate measurements and well, what more can you say.. it's just dandy! If i had to pick on something it would be that the base would be better if it was a little flatter on the bottom. the base isn't exactly precision flat, but it works fine on my bench top. This is a must have tool, buy it and take the guess work out of your setups! I usta eyeball my camber. Then I bought this and I will never do that agin. Works really well and easy to use. 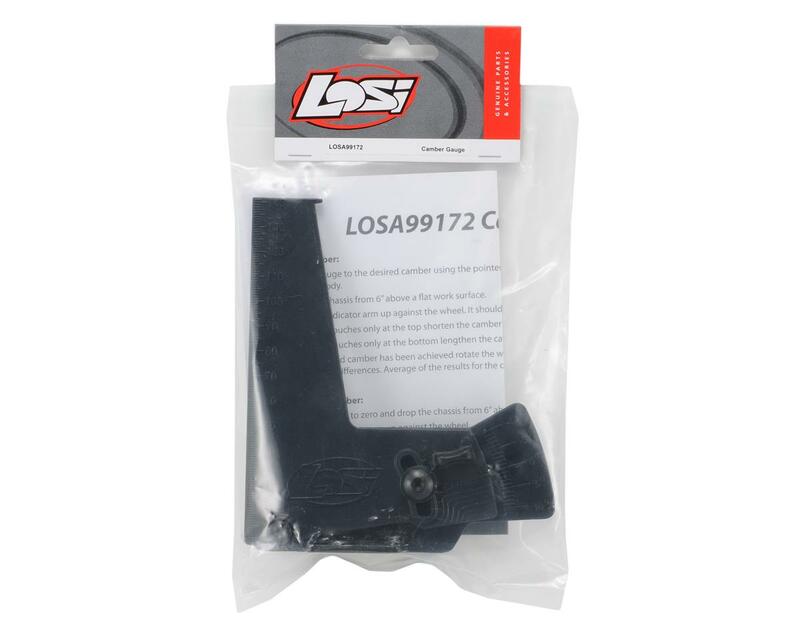 one of Losi tools that's should be on your toolbox! really accurate and excellent quality! LOSE DONE IT AGAIN! LOSI ALL THE WAY!